Many might name Ryoma Sakamoto as one of the most famous person in Japanese history. With literature piece such as “Here goes Ryoma” by Ryotaro Shiba and Japanese TV drama, he became popular among Japanese young people. However, there is not so many Japanese people who can answer what Ryoma Sakamoto really accomplished. Here, we look into Ryoma’s work and his character. Achievement of Ryoma Sakamoto in one word will be “the person who made Japan under new system”. He was born at the end of Edo period when Japan was closed to oversea countries limiting import/export in selected area with selected countries. However, when American ship led by Perry arrived to Japan in 1853, Japan was forced to open its gate. At that time, the government of Edo was clearly losing its power having no means to fight back the pressure from oversea countries nor the leadership to manage domestic Han. Many people like Ryoma started to think that Japan should abondon Edo government and make new system in order to get over facing crisis. While power for new system grew, Ryoma got large power that could fight against government. It was Satsuma-han and Choshu-han. Satsuma-han and Choshu-han were never in good terms but Ryoma managed to reconcile them and make “Sacchou alliance”. Ryoma thought that coup with power might make Japan in chaos in this period where oversea countries are highly interfering so he aimed to abondon government in peaceful “Taiseihoukan”. The government accepted it so the Edo government disappeared in 1867 and its power was given back to the Emperor. Ryoma Sakamoto was born as the second son in the house of lower rank Bushi in Tosa-han (currently Kouchi prefecture). He had elder brother and three elder sisters and his house was quite wealthy. His mother Sachi died when he was 12 and after that, he was brought up by his step mother Iyo. As a child, he couldn’t stop wetting the bed, timid and bullied so he quit the private school which he entered to study Kangaku. Later on, his martial arts and study was taught by the youngest elder sister Otohime. One factor that had a large effect on Ryoma’s personality was Shimodaya (house of Kawashima) which was the house of ex-husband of Iyo. Ryoma and Otohime often visited the house of Kawashima and heard the interesting stories from Nagasaki and Simonoseki or watched world map or imported product. He had some kind of romantic notion about the world. It can be said that this was the base of Ryoma who made the new system with innovative idea during the end of Edo period. 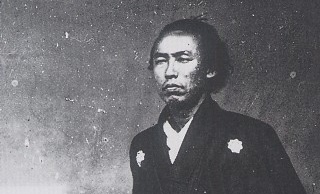 Ryoma Sakamoto was murdered at the age of 33 on December 10th, 1867. He was attacked when he was together with his ally Shintaro Nakaoka and he died almost instantly and Nakaoka survived and went call for help but died after 2 days. There is a memorial stone on the place of murder and there are still tourists who visit here. Though there are several hypothesis, who killed Ryoma Sakamoto is still unknown. A famous trivia regarding Ryoma Sakamoto is that he went to the honeymoon for the first time in Japan. 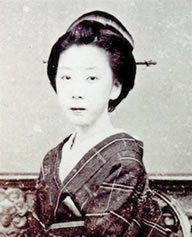 Ryoma and Oryou headed to Kagoshima in 1886. Actually, just before this, he was attacked in Teradaya in Kyoto and got injured. This trip was arranged by Takamori Saigo for Ryoma to hide himself while taking care of his injury. They stayed in Kagoshima for about 3 months. For Ryoma who lived days of being chased by murderers and was always in dangerous places, the days he spent with loving Oryou was the most relaxing time of his life. How about a hot springs tour while thinking about Ryoma Sakamoto?